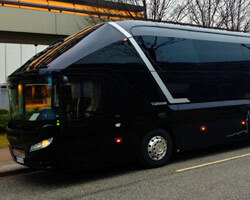 Use our service hotline +49 40 611 921 90 or send us an e-mail: info@geberteventbus.de. All of our offered vehicles meet modern standards. Whether it’s a coach, shuttle bus, business liner, VIP liner, midi or mini bus, minivan, limousine, double decker or city trip double decker bus – at Gebert EventBus GmbH you will always find the vehicles for your bus trips, event mobility or bus transfers. 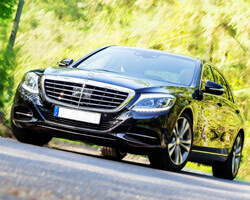 All vehicles fulfill the criteria and requirements for a pleasent trip or transfer. Safety and the desired comfort are self evident and it goes without saying that all our staff and drivers are friendly and well-trained. 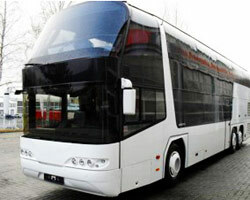 Whether it is a shuttle bus, a transfer bus or a comfortable coach, the more elegant business bus or the uncomparable VIP bus. 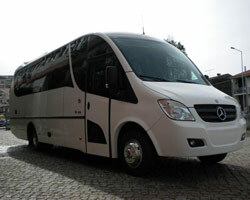 We are more then happy to consult you and find the ideal bus for your trip. We also offer free quotes on branding and logos. 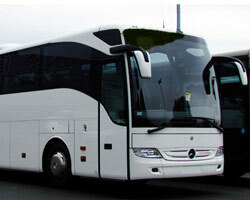 On this page we have listed examples of different bus sizes. For large groups with luggage, applicable for local airport transfers through to round trips in different cities and countries. 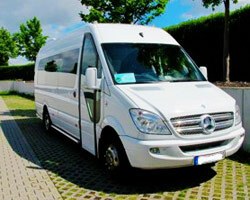 For larger groups, applicable for event-shuttles through to round trips or rallys. For large groups requiring business airport transfers or even applicable for round trips (more comfort than the standard coach). Mostly booked by VIP customers or used for events and special tours. 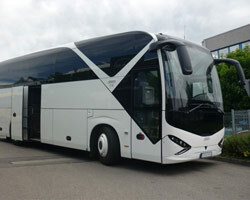 For medium-sized groups like club transfers or city tours. This bus is perfect for smaller groups, especially for short distances or city, airport, and fair transfers. This bus is ideal for medium-sized groups. 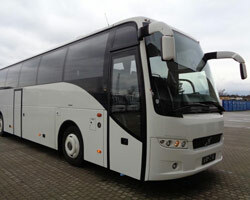 Very popular for transfers and short distances within the city. 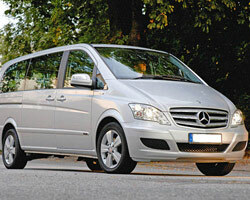 The minivan is mainly used for inter-city trips, transfers or as a shuttle service. For special guests and / or VIPs as well as limousineservice. 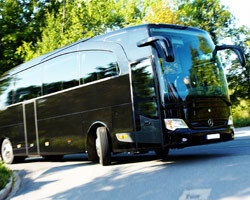 For larger groups requiring transfers or even for round trips.